If any recipe is important to me, this Simple Bread & Cinnamon Bread Recipe qualifies. The reason: It’s one of the first times I feel that I’ve been able to successfully make a loaf of homemade bread. 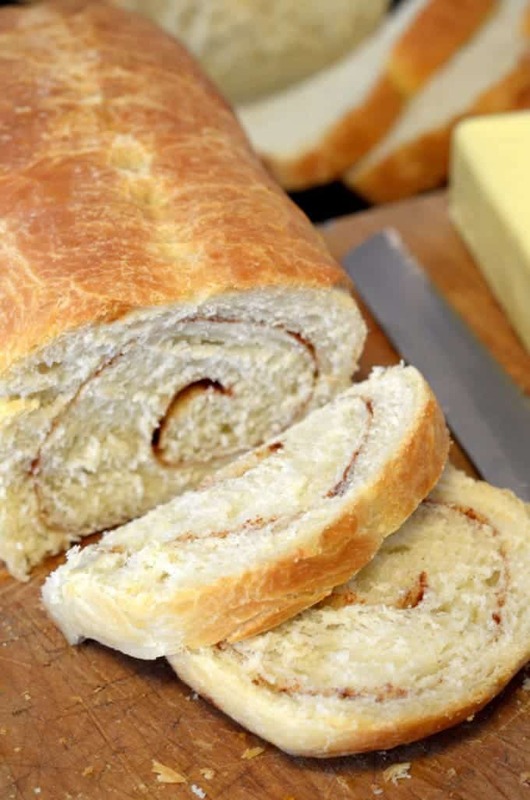 As a bonus, we’re going to show you how you can turn this easy recipe into a delicious cinnamon bread as well. I grew up with a mom who baked almost everything. I can’t say that I witnessed it actually happening, but she probably could have made homemade bread with her eye closed. And, it was the same delicious bread. Every. Single. Time. 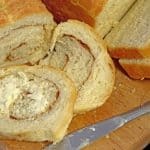 My mom’s homemade bread was even better as toast, to my delight the same proved to be the case with this Simple Bread & Cinnamon Bread Recipe. In spite of my efforts and all of my other baking abilities, homemade bread has been a weakness of mine since the day I learned to pull out an oven rack. It was always too hard. Or too dense. Or it just didn’t taste good. Until I tried making this Simple Bread & Cinnamon Bread Recipe. I finally hit the duck, as my sister, Chef Kathy, might say. In a large bowl, dissolve yeast in warm water. Add the sugar, salt, oil and 3 cups flour. Beat until smooth. Stir in enough remaining flour to form a soft dough. Turn onto a floured surface; knead until smooth and elastic, about 8-10 minutes. Place in a greased bowl, turning once to grease the top. Cover and let rise in a warm place until doubled, about 1-1/2 hours. Punch dough down. Turn onto a lightly floured surface; divide dough in half. Shape each into a loaf. Place in two greased 9-in. x 5-in. loaf pans. Brush top of dough with butter Cover and let rise until doubled, about 30-45 minutes. roll dough for 1 load into 9" x 9" square. Brush surface with butter. Evenly distribute sugar and cinnamon on top. 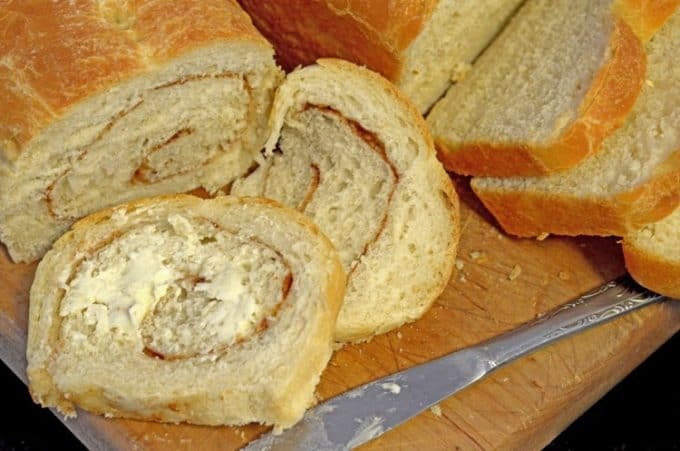 Roll tightly, then place in buttered loaf pan. Brush top of dough with butter. Bake at 375° for 30-35 minutes or until golden brown and bread sounds hollow when tapped. Remove from pans to wire racks to cool. Yield: 2 loaves (16 slices each). So friggin’ delicious! 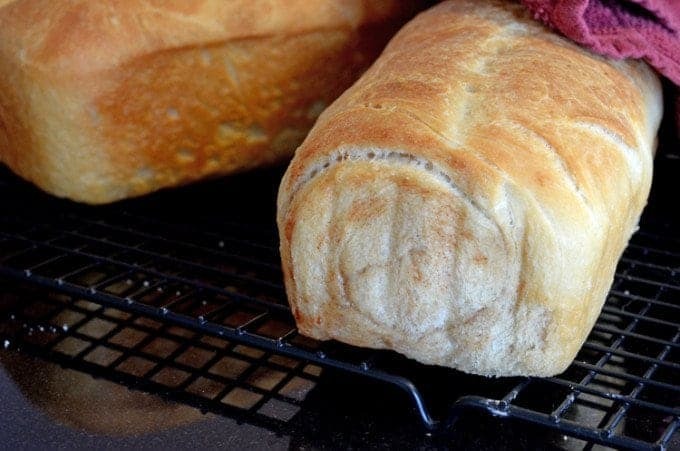 I need to try my hand at making bread – still something I have never ever done! 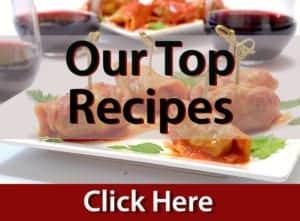 Thanks so much GiGi, this is the perfect recipe for bread novices; speaking as one! Bread and cinnamon? The 2 magic words. I’m up for it!! 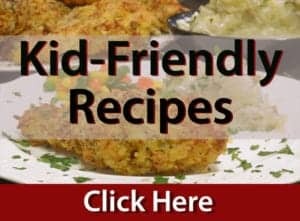 Looks simple, moist and delicious! Thanks, Del; this was a great treat! 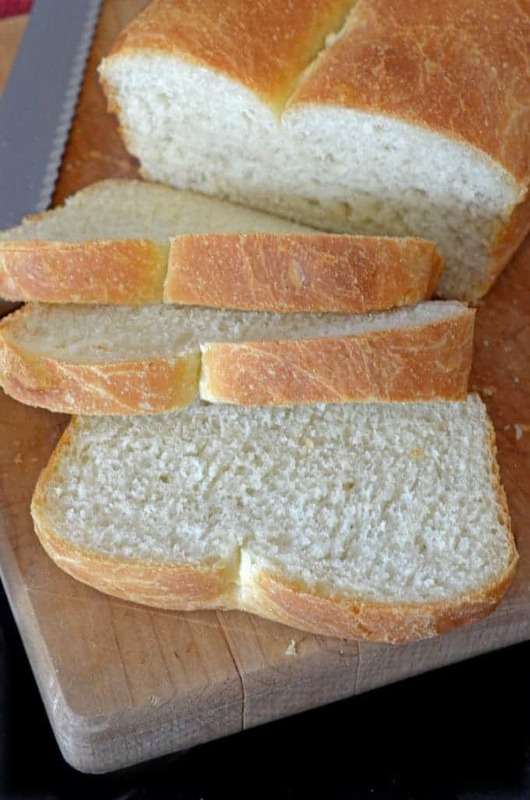 Homemade bread is the best. Adding cinnamon is a genius idea so perfect for those cold days! Thanks so much, Florian. Our kids especially loved this one! I love the touch of cinnamon. It looks like just the right amount! Thanks, Christine. Wishing you the best in the new year! Looks delicious. 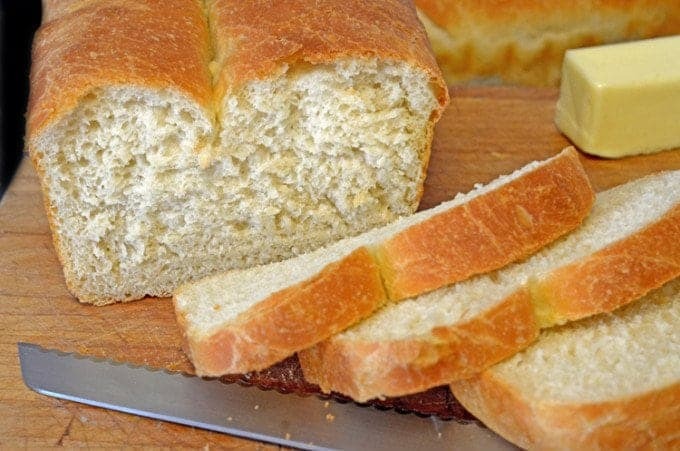 Nothing better than homemade bread! Thanks, Peter and I completely agree! 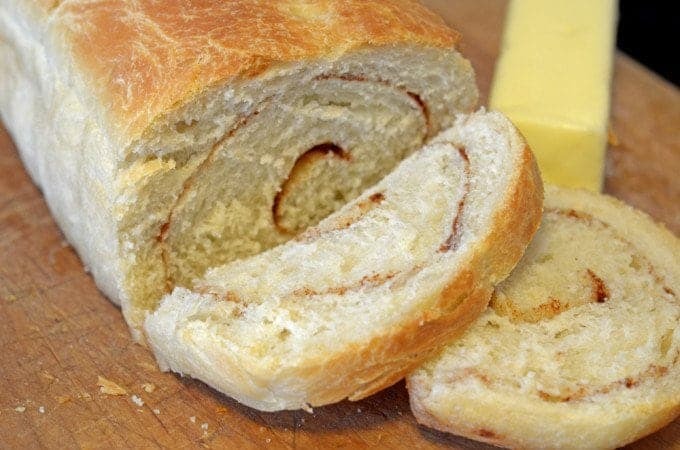 How I miss the bread my grandmother made. She was very adept at bread making and never measured. This sounds to to good! Once I shed my pounds I shall give bread making a go. You may have to assist. There is nothing like homemade bread, thanks for the lovely comments, Patty!